So we created an infographic to highlight the main areas of the European Union’s General Data Protection Regulation (GDPR) and ePrivacy that will have an impact on online advertising and marketing vendors. Click here to open the infographic in a new tab. May 25, 2018: The date when the GDPR came into force. €20M: Companies can be fined either 20M Euro or 4% of the previous year’s turnover for serious infringements. €10M: Companies can be fined either 10M Euro or 2% of the previous year’s turnover for less-serious infringements. 510M: The GDPR and ePrivacy will protect the data and privacy of over 510 million EU and EEA citizens and residents. It replaced the current Data Protection Directive (Directive 95/46/EC) when it came into force on May 25, 2018. The ePrivacy directive is a piece of EU legislation that also aims to protect the data and privacy of EU and EEA citizens and residents, but with a focus on respecting their private lives when using electronic communications. It is not known when the ePrivacy regulation will come into force, as the proposal is set to be negotiated between the three EU legislative institutions (see below). Some within the industry say that it will likely be enforced in 2019 or 2020. Any piece of information or data that can be used to identify a data subject is classed as personal data. The GDPR now considers identifiers such as cookies, cookie IDs, location data, and device IDs as personal data. 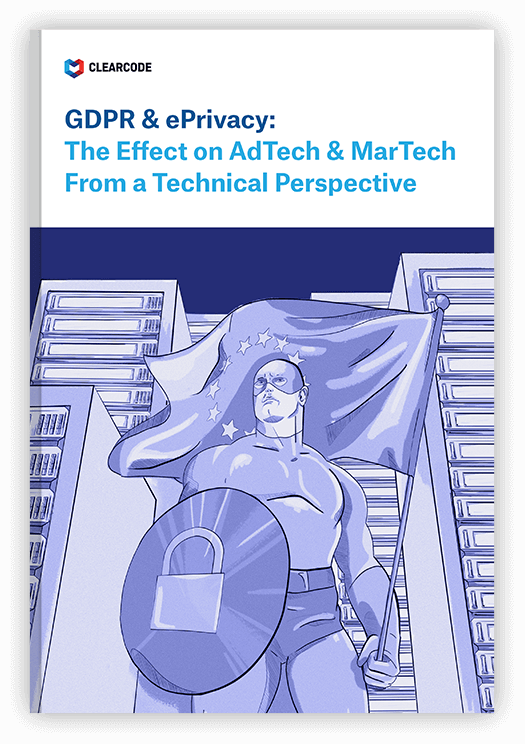 AdTech & MarTech vendors need to implement measures to ensure the data is protected at all times, for example, via encryption and pseudonymization. AdTech & MarTech companies need to obtain clear, unambiguous, and explicit consent from data subjects if they want to collect and use their data. Publishers can’t deny or restrict access to their website or content if data subjects don’t provide consent. Companies need to obtain consent for each data-processing activity, explain what their data will be used for, whom it will be shared with, and how long it will be kept. AdTech & MarTech vendors need to inform a supervisory authority and their clients about a data breach within 72 hours. They also need to inform data subjects without undue delay after having become aware of a data breach. Companies aren’t required to inform data subjects about a breach if the appropriate technical and organizational protection measures, such as encryption, have been put in place and applied to the data. Companies should put data protection and user privacy at the forefront of all their activities. Where possible, data should be pseudonymized, anonymized, and encrypted to provide added levels of protection. A process known as data minimization, which involves only processing the amount of data absolutely needed to complete the given activity, should be carried out by companies that collect user data. €10 million or up to 2% of the total worldwide annual turnover of the preceding financial year, whichever is higher. €20 million or up to 4% of the total worldwide annual turnover of the preceding financial year, whichever is higher.